Around the world, and especially in the more industrialized nations, people and businesses have become more and more focused on “green” manufacturing, products and services. At the same time, many have adopted consuming habits that promote the ideas of reducing, re-using and recycling. It really all starts at home or in the office, but the real process continues with companies and businesses that specialize in waste handling, disposal and recycling - they are the ones who responsibly handle waste and direct that waste away from landfill sites. The “green” approach is also taking hold in many industry sectors – here, one good example is home building and construction. New homebuilders, for instance, are being encouraged to recycle their waste, and in this way, almost everything can be reclaimed, re-used and recycled. Waste concrete gets recycled into a variety of aggregates; cardboard is remanufactured into new paper products; and drywall is re-fabricated into new drywall. Even used roof shingles, after a roof restoration, can be recycled and re-used in new asphalt road surfaces. The statistics related to waste disposal are quite staggering. It’s hard to believe, but nearly half of all landfill waste comes from three sources - construction, renovation, and demolition. And it’s not very good news, because landfills are quickly reaching their capacity in practically every part of the nation. The result is that newer provincial legal guidelines and bi-laws are seriously pushing waste reduction, recycling and even composting. And for the construction industry in particular, even the builder’s associations are promoting “green” programs. 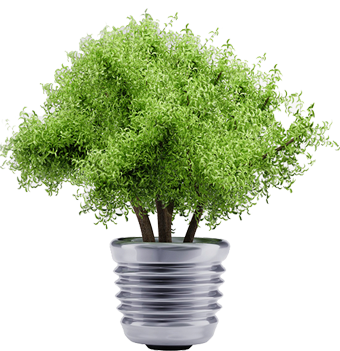 At Gold Disposal, our environmentally friendly approach is just part of day-to-day business. We handle waste responsibly and we recycle wherever and whenever possible. We collect virtually everything: glass, marble, granite, concrete, asphalt, soil, natural stone, and bricks. And while collection and recycling is our core business, we encourage clients to do as much as possible at the source. We’ve been in business since 2007, and offer a wide range of waste disposal services in the Greater Toronto Area and throughout southwestern Ontario. Gold Disposal is Toronto-based, and operates 7 days a week. Our North York facility provides service teams to handle all types of waste from residential, commercial and industrial sources. We are professional in our work performance; we are reliable and consistent with our client service; and we offer our customers the best possible prices. Our trucks and garbage bins are presentable when delivered - our service teams respect client property and possessions – and we always have a viable solution for customers with special circumstances. When it comes to waste collection, removal and recycling, customers of Gold Disposal can rest assured of our “green” approach. We collect practically everything, and will advise a client which kind of materials CAN be accommodated, and which CANNOT. For example, hazardous materials CANNOT be collected and removed. In addition, our service teams will explain such things as weight limitations and load heights. In other words, once we’re on the site, we’re at your service. After all, we always want satisfied customers to refer new business our way.